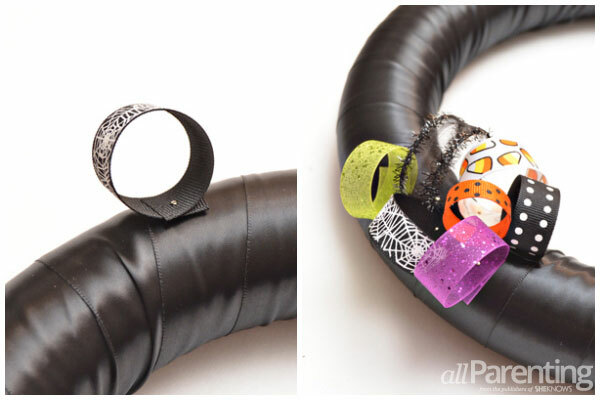 Cute Halloween decorations don't have to be limited to ghosts and pumpkins. 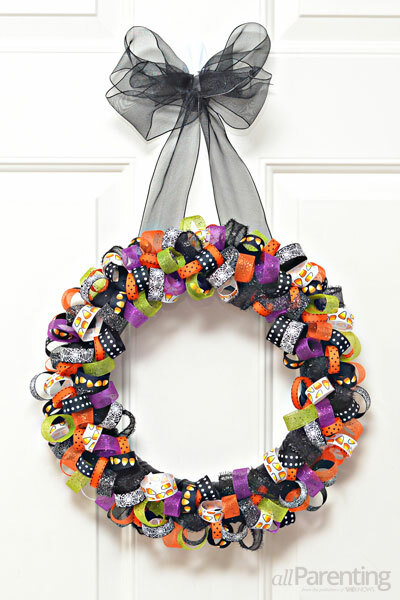 You can whip up this easy ribbon wreath in an afternoon and have the perfect front door decoration for Halloween. 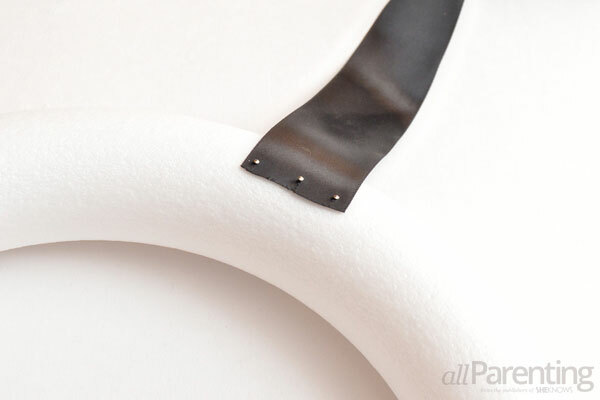 Use straight pins to attach one end of the wide black ribbon to the plastic foam wreath form. 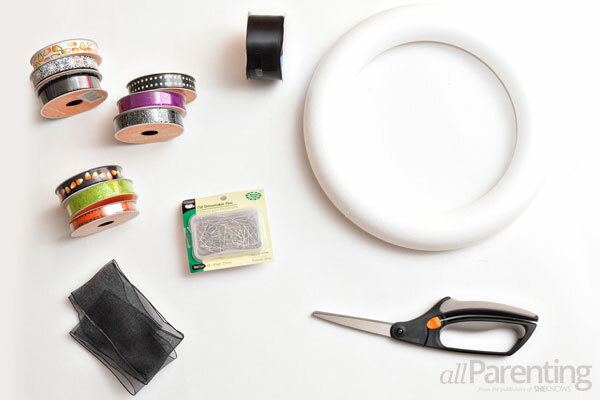 Wrap the black ribbon around the entire wreath form, making sure that all of the plastic foam is covered, and then secure the other end of the ribbon to the wreath form with straight pins. 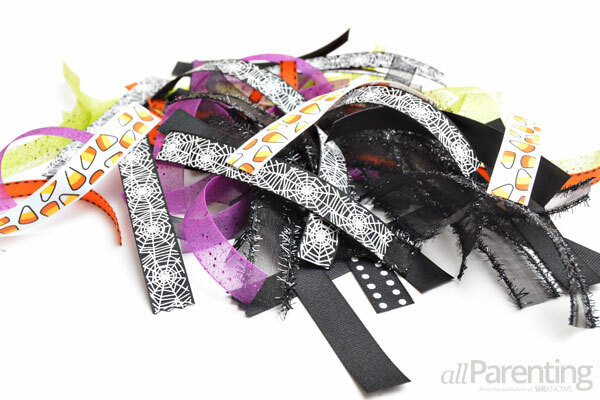 Cut the Halloween ribbon into 3-inch lengths. 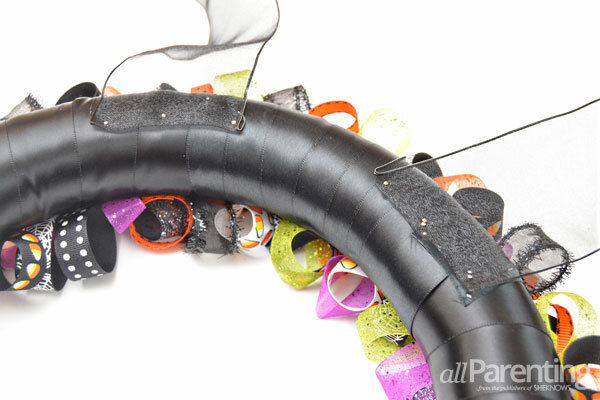 Grab a piece of ribbon and make a loop. Slide a straight pin through the loop to hold the two ends of the ribbon together. 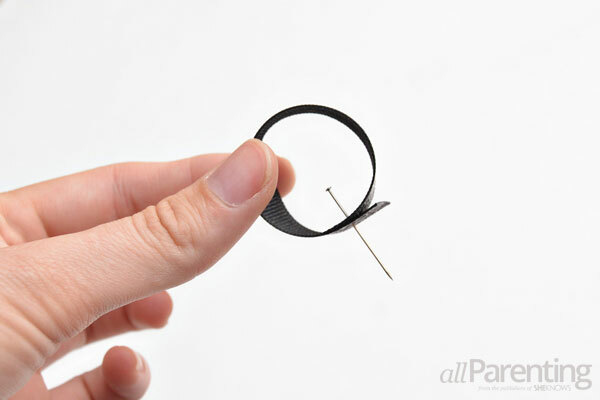 Attach the ribbon to the wreath by pushing the straight pin into the wreath form. 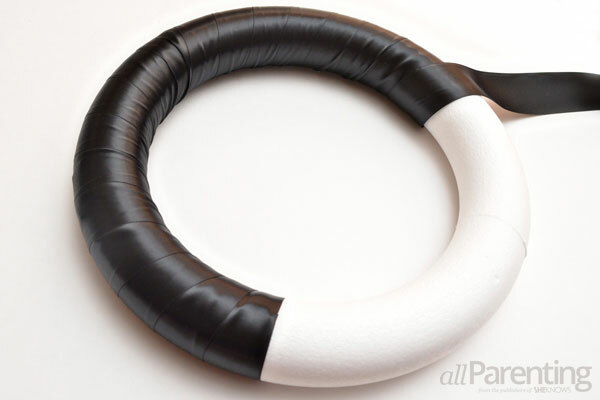 Fill the front and sides of the wreath from with ribbon loops. Keep adding ribbon loops to the wreath form until the entire wreath is filled. Cut the sheer ribbon in half. 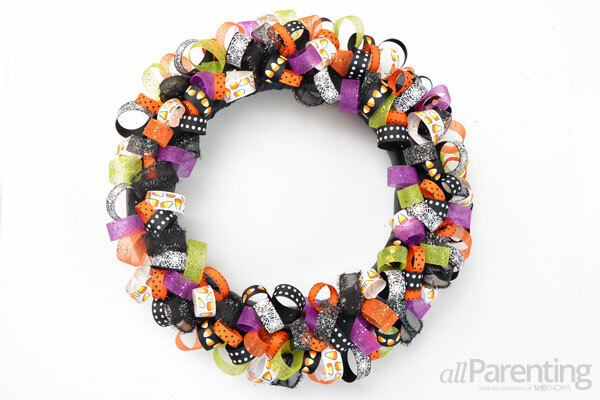 Attach one end of each half of the sheer ribbon to the back of the wreath form. 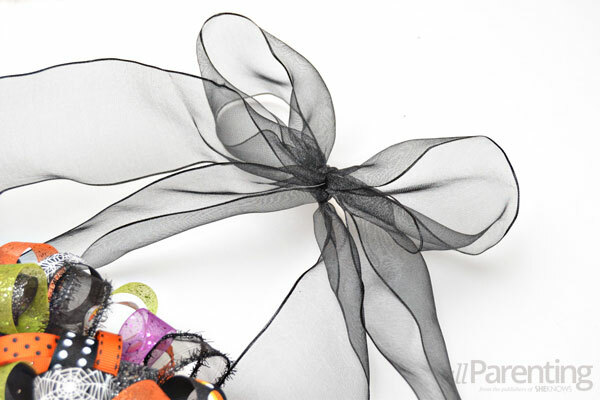 Tie the loose ends of the sheer ribbon into a bow and use the bow to hang the wreath.